The St. Mary's County Health Department is seeking organizations that want to create or further develop local youth mentoring programs. "Youth mentoring programs help to build resiliency, mental well-being, and important life skills; they can also be a key factor in preventing youth drug use and addiction," said Dr. Meena Brewster, St. Mary's County Health Officer. "We want to support local faith-based and other community organizations that are currently offering or would like to launch youth mentoring programs." An open information session for interested organizations will be held on Thursday, November 8, 2018 from 5:30—6:30 p.m. in Meeting Room A at the Lexington Park Library, located at 21677 Franklin Delano Roosevelt Blvd. in Lexington Park. Resources and technical assistance with implementing youth mentoring programs are available, as funding allows, to interested organizations. Grant funding to support this initiative was provided by the Rotary Club of Lexington Park. For more information, please contact the St. Mary's County Health Department at (301) 475-4342 or at smchd.lbha@maryland.gov. Citizens seeking an opportunity to play a more active role in the community now have an opportunity to do so on a Board, Commission or Committee. 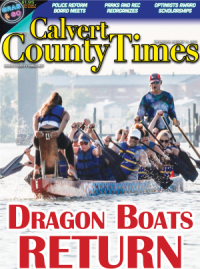 Interested citizens can download an application from the county's website or call Diane Gleissner at 301-475-4200, ext. *1700 for more information. The St. Mary's County Emergency Services Board will hold a special meeting on Thursday, November 15, at 5 p.m. 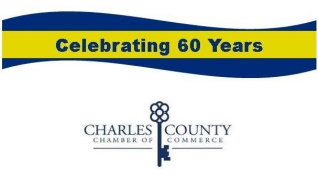 The meeting will take place in the commissioners meeting room, inside the Chesapeake Building, located at 41770 Baldridge Street, Leonardtown, Maryland. 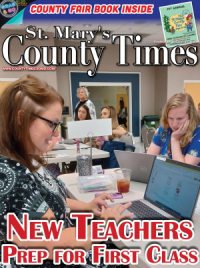 The St. Mary's County Museum Division will offer teachers from any educational institution free admission into St. Clement's Island Museum or the Piney Point Lighthouse Museum & Historic Park when presenting a valid teacher ID at admission. While taking advantage of this opportunity to visit and learn more about these museums and historic sites, teachers are encouraged to learn about "In Touch with History," a free outreach program, developed by the Museum Division, available to schools, senior centers and non-profit organizations. "These outreach programs consist of skilled Museum Division staff visiting your classroom with interpretive material and conduct a hands-on, experiential program relating to a particular historic topic," says Karen Stone, St. Mary's County Museum Division Manager. "We want to share the great resources our historic sites have to offer by bringing the museum into the classroom." All programs (listed in more detail below) can be adapted to suit various age groups, grade levels and interests. "A Tale of Two Trunks"—Explore the contents of two different "travel trunks" and learn about packing for a journey to the Maryland Colony in 1634, as well as packing for a vacation destination on the Potomac River in 1925. "Solving a Mystery in History"—If you enjoy puzzles, wait until you work with these pieces! Using copies of actual letters, photographs diaries, maps and other pieces from the St. Clement's Island Museum Collections, participants become the historians and try to figure out what took place somewhere in the past. "St. Clement's Island: Small Island, Great History"—This peaceful island retreat was once a popular summer resort, a regular stop for steamboats running between Washington, DC, Baltimore and Norfolk and an area in the line of fire of large naval guns. Find out how the history of this Potomac River landmark unfolds. "Around the House"—Students will be introduced to some of the everyday household items found in an early 20th century home. Time is allotted at the end of this one-hour program for participants to interact with period objects and learn more about their uses. "The Incredible Shrinking Island"—St. Clement's Island over the years has experienced a wealth of history, while at the same time being robbed of its soil. Learn how erosion has changed the island and find out what has been done to keep this historic island park intact. The one-hour demonstration includes artifacts, photos and maps. "Treasures Beneath the Soil"—See how lost possessions of yesteryear can provide valuable information for today. This one-hour presentation will reveal how archaeologists can utilize artifacts to study people from the past. On September 27, 2018, the Metropolitan Commission (MetCom) approved an agreement with Utility Services Partners, Inc. (USP) in order to help facilitate the repairs to the private side of service lines where MetCom has no responsibility. MetCom customers will soon be offered a voluntary month-to-month water and sewer service line repair program for the private connections to their homes, which includes thawing and frozen pipe coverage. According to George Erichsen, MetCom's Executive Director, "Homeowners are often unaware that such repairs are not covered by basic homeowner's insurance policies or by the local utility and usually have to take on the burden of repair costs themselves. Many of our customers are dealing with the same aging infrastructure that that we as a utility are in the process of maintaining or replacing". Service plans available through this partnership with USP will provide homeowners and light commercial properties (served by 1" service lines or less) with an affordable, cost effective way to manage the unexpected expense and inconvenience of emergency in-home plumbing and external water / sewer line repairs, leaks, breaks, and clogs. As a part of the agreement, USP will also be setting aside funds to help pay for repairs and other assistance for low income homeowners through a simple on line application process available for review at www.HomeServeCares.com . USP is a Better Business Bureau Accredited Business with an A+ rating. USP maintains a customer satisfaction rating exceeding 98% and are strategic partners with the Maryland Municipal League. This provider is the administrator for the National League of Cities Service Line Warranty Program, which is the only service line program endorsed by the National League of Cities. The organization is partnered with over 400 municipalities across the North America. As of September 2017, this program was made available to counties and to organizations such as MetCom at no cost. Residential and light commercial MetCom customers will have: a voluntary opportunity to participate in the program; the advantage of negotiated discounted rates; full time 24 hour a day/7 days a week live operator hotlines; monies set aside for assistance to qualified low income applicants; as well as unique website access to information. Daniel Guest, the National Director Business Development stated that, "Participants in the program will be eligible to purchase low-cost repair service plans covering up to $8,500 per occurrence and our goal is to use local plumbers / contractors to the fullest extent practical to help keep money in the local economy. Contractors that are dispatched to the homeowner's residence undergo background, driving, drug and criminal checks before being accepted in to the "network". USP will be contacting MetCom customers in the near future. In the interim, MetCom customers can learn more about by calling toll free at 1.855.336.2465 or visiting www.HomeServeUSA.com. The deadline to request a 2018 Gubernatorial General Election absentee ballot for mail delivery is Tuesday, October 30. The deadline to request an absentee ballot for the general election for internet delivery is Friday, November 2. Any registered voter in Maryland may request and vote by absentee ballot. A voter who wishes to vote by absentee ballot may request an absentee ballot (1) online for voters with a Maryland driver's license or MVA-issued ID card; (2) by submitting a signed application; (3) by telephone; (4) in writing; or (5) in person at the St. Mary's Board of Elections. To request an absentee ballot application from the St. Mary's Board of Elections, call 301-475-4200 ext. *1625 or visit the office at 41650 Tudor Hall Road, Leonardtown, MD 20650 from 8 a.m. to 4:30 p.m. Voters may also visit elections.maryland.gov/voting/absentee.html to request an absentee ballot online, to print an application, or for more information. If a voter misses the applicable deadline, the absentee ballot request must be made in person at the St. Mary's Board of Elections at 41650 Tudor Hall Road, Leonardtown, MD 20650. The 2018 Gubernatorial General Election will be held on Tuesday, November 6, 2018. Starting Thursday, October 25th through and including Thursday, November 1st, voters may vote in person between 10 am and 8 pm at the designated early voting center(s) in their county of residence. Early voting locations and hours and additional election-related information and dates are available at elections.maryland.gov/voting/early_voting.html. For more information, please contact St. Mary's Board of Elections at 301-475-4200 ext. *1625 or the State Board of Elections at 1-800-222-VOTE (8683) or elections.maryland.gov.